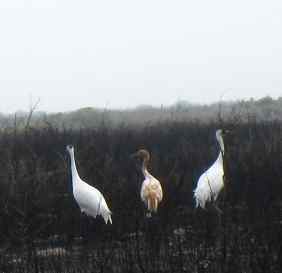 At Aransas National Wildlife Refuge in the winter a person normally sees a family of Whooping Cranes together, which would be parents and the immature crane, who is brownish. 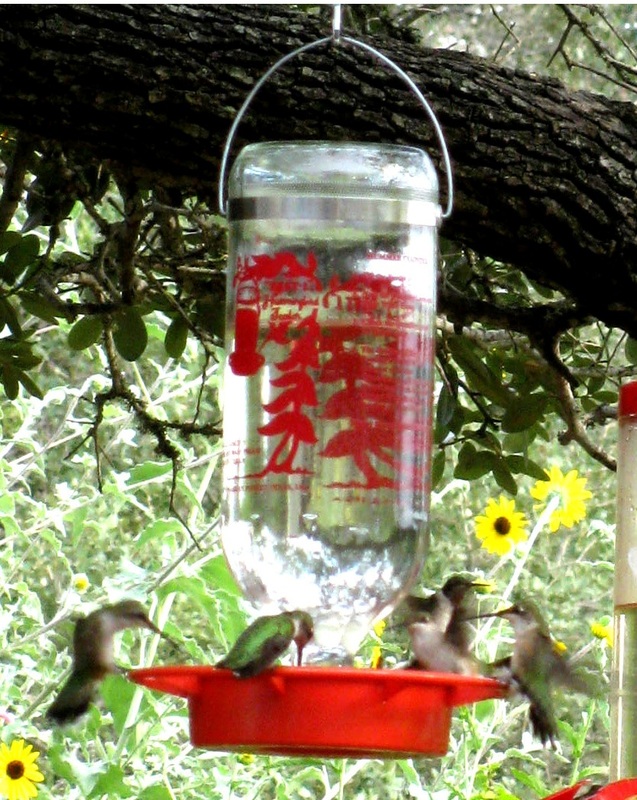 However these pictures were taken in 2011 when Texas suffered a severe drought. The Refuge had a controlled burn to help spring-time grass grow better, so the whoopers discovered food there instead of the small crabs they prefer. These giant birds are 52″ tall and have a wingspan of 87″.